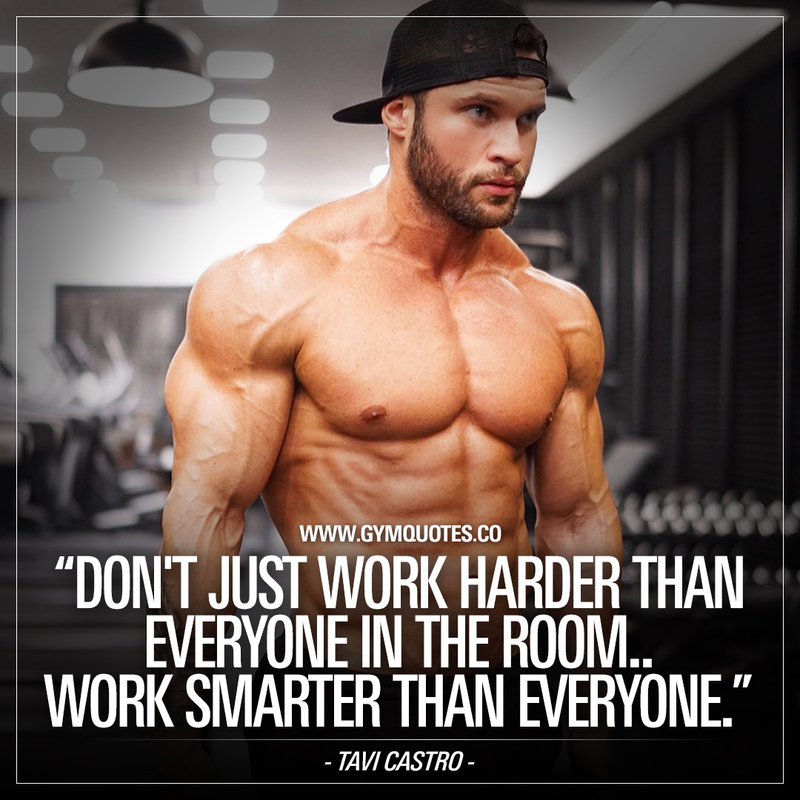 Tavi Castro quote: Don’t just work harder than everyone in the room.. Work smarter than everyone. This might sound like a no-brainer, but yet I see people in professional settings (at work) prioritizing wrong things or wrong projects and thus wasting time.. Or doing things the wrong way thus wasting time or messing things up. Simply not being as efficient as they could be. Same thing in the gym.. Don’t just go into the gym and push those weights around.. Slay in a SMART way. Learn your craft! Read articles, watch videos, buy books about the body and how it works, learn about nutrition and the impact different foods have on your body, learn more about different kinds of training, read how you can harness all that power inside your mind and apply all that when you’re in the gym. The step we are making now.. At this very moment.. Is the only step that matters. Make your goal, your lifestyle. Make everything you do contribute to that greater achievement. You must DO something instead of killing time. Because time is killing you. Power over your mind and body, is the greatest strength of all. Want even more of the worlds most inspirational gym quotes and motivational fitness quotes? Follow us!